Naturally occurring quartz can be as clear and colourless as glass or a deep rich shade of red, purple, brown or black. Samsung Radianz Quartz is available in over 25 colours, and other quartz worktop brands in our range offer even more variety. Processed stones can easily by dyed to create a rainbow of colours so whether you want pillar box red or the palest pink, vivid yellow or subtle greens, granite grey or marble white, there’ll be something for you. 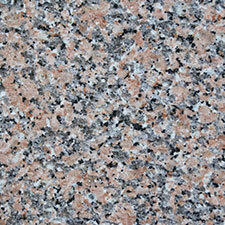 Unlike natural stone, engineered stone is completely uniform in colour. This means it’s easy to match and you know that what you see in the show room is exactly what you’ll get. Looking for a bit of sparkle? 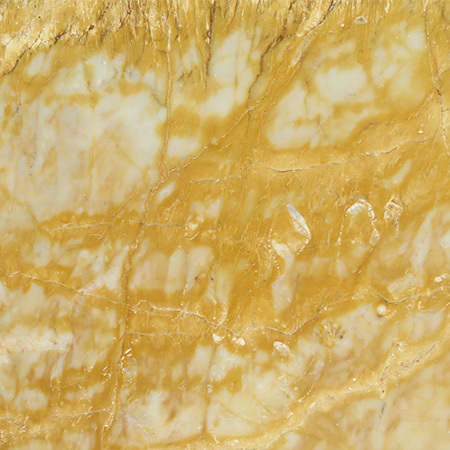 While natural stones like marble and granite rarely shine, Samsung Radianz Quartz and other processed stones use chips of natural stone and minerals to create stunning effects, including glittering and shimmering. 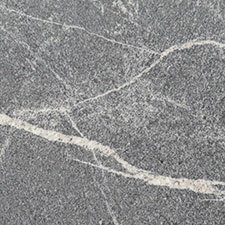 The patterning in quartz worktops like Quarella comes from the pieces of natural stone used in its manufacture. 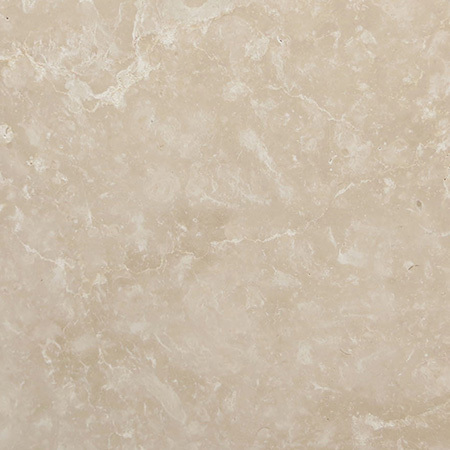 For a smooth texture, stone is ground to a fine powder, while using larger pieces of natural stone gives a distinctive look. 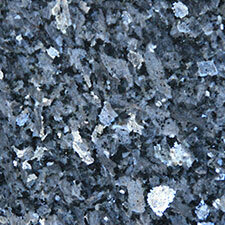 Adding mica and other reflective minerals can turn a plain black worktop into a starry night sky. The word ‘quartz’ means ‘hard’, and it’s well named. 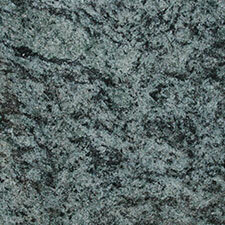 Quartz worktops are tough and robust, often withstanding years of wear without a mark. 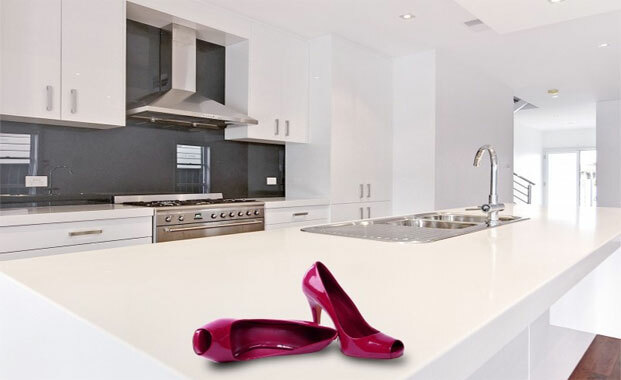 Non-porous and sealed before installation, quartz worktops are easy to care for. 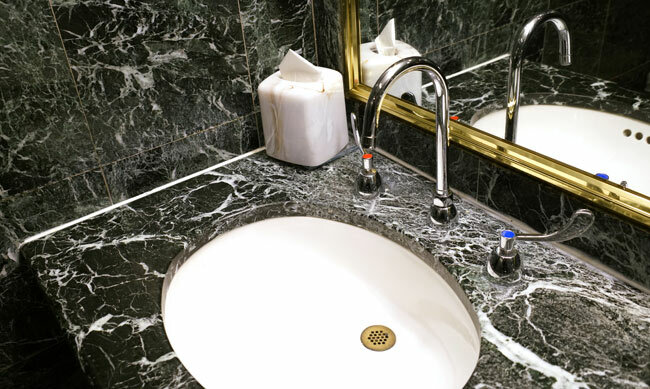 In most cases, wiping the surface down with a mild soap and water will be enough to keep it looking its best. The manufacturers of quartz worktops have confidence in their product – Samsung Radianz Quartz comes with a 15 year guarantee. 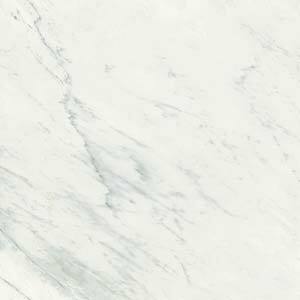 Quartz is one of the world’s most abundant materials, which is fortunate as there’s been increasing demand for quartz worktops. 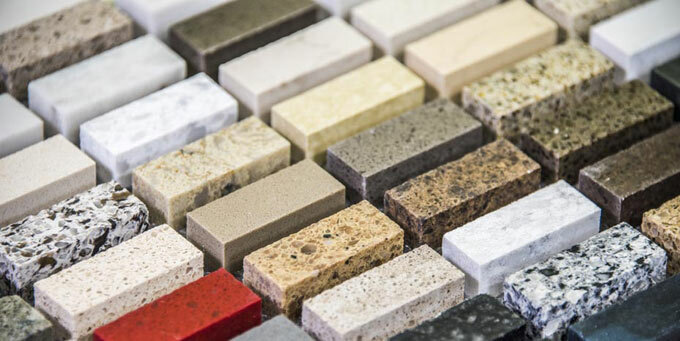 A popular design feature, processed stones such as Silestone or Samsung Radianz have the practical features of marble or granite with wider colour range, more uniform pattern and at a lower price. With these advantages, it’s no surprise that this technological wonder has been such a hit with interior designers and home owners alike. 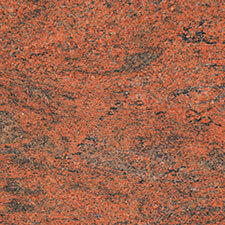 At Surrey Marble and Granite, we offer a full range of natural and processed stones. 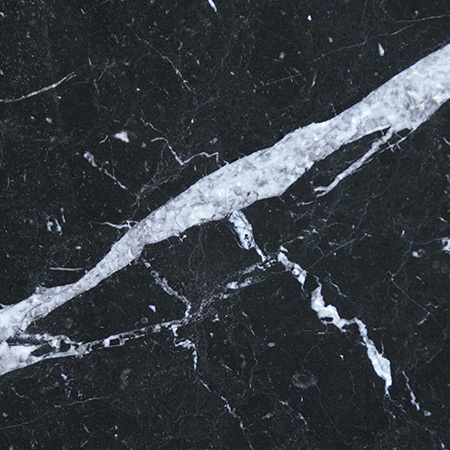 We’re happy to discuss the differences between marble and quartz, granite and limestone, Samsung and Silestone. If you have any questions, please get in touch – or come and visit our workshop, where you can see for yourself what the options are. 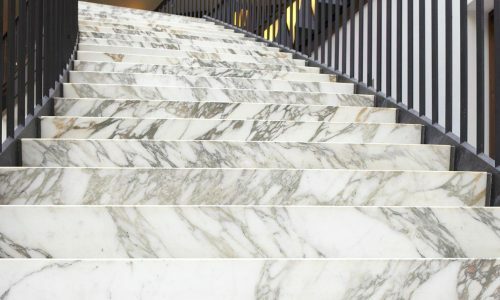 At Surrey Marble and Granite, we’re keen to keep abreast of new developments in our industry. 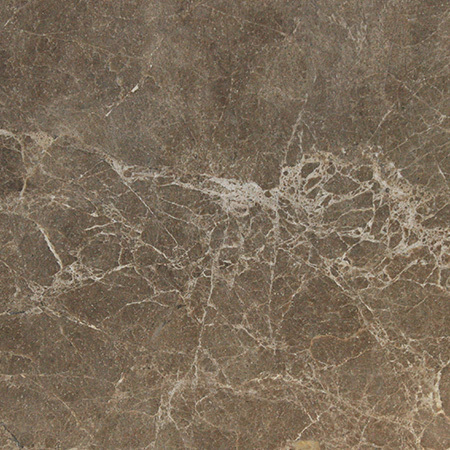 Dekton and its Sinterized Particle Technology is an exciting new arrival on the scene. We’re proud to offer the complete range of Dekton colours.